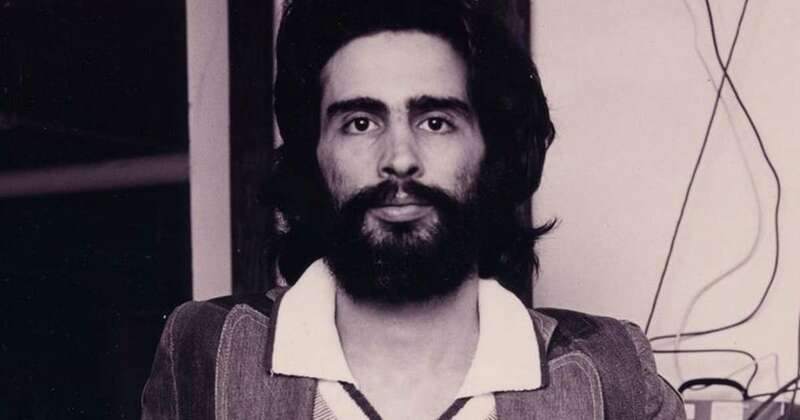 On valentines day in 1970, David Mancuso threw the doors open to his home for this first time. Informally dubbed ‘The Loft’, The New York City apartment became a space for free and expressive parties, centred around a shared and sole appreciation for music. It was rumoured that Mancuso had the best sound system in the city, and he demanded that it would only be used for tracks that were: ‘soulful, rhythmic, and imparted words of hope, redemption, or pride’. Despite often being pinned as one of the initial sites for the launch of modern dance music, Mancuso abandoned the typical forms of DJing in order to focus solely on each song as an individual piece – which is an odd juxtaposition to the end point of the musical journey he initiated. Parties thrown in ‘The Loft’ were invite only, as a means of protecting both the nature of the celebrations and the inhabitants of Mancuso’s roster. The majority of the attendees were societal outcasts of the time, which created a protected space for both people of colour and the LGBT community . A close and isolated circle was necessary for the time, reflecting on the wider society which saw minority groups band together to vote in a far more racially diverse governing body and push for the repeal of antiquated homosexuality laws. Attempts to keep the parties secret, though, were short lived – the shroud of mystery around Mancuso’s loft made it all the more enticing to both its devotees and the public eye. By 1973 there were numerous media outlets publicising the events, passing on reports fantasising the supposed debauchery of these gatherings, which, in turn, lead to the hosting of similar events across New York. Taking its name from the french ‘discotheque‘ (roughly translating to ’record library’), the movement became known as disco and took a tight hold on the American public consciousness. The published notoriety of the underground ‘discotheque’ parties lead them to be pushed further into the mainstream, which ushered in a new era of commercialisation for the swiftly establishing scene. 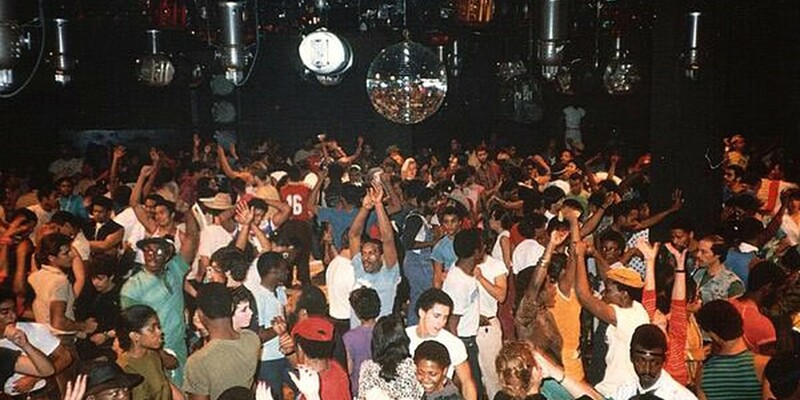 Paradise Garage opened in 1976, followed by Studio 54 in 1977. Despite being contra to Mancuso’s original vision, these clubs became a central point for the scene, hosting the veritable heyday of disco with artists such as Chic, The BeeGees and KC. These events were open to the general public, and the need to draw a mass market for profit lead to the beginning on an intense saturation of the genre, with an influx of low quality recordings designed for the broadest possible appeal. By 1979 the popular appeal of disco was starting to draw backlash, with loose clusters latching on to the idea of ‘anti-disco’. Although short-lived, this formation of a ‘counter-counter-culture’ was significant to the scene, as it marked both a detachment from its originally multicultural roots and a growth large enough to draw popular ire. Framed as a grass roots musical movement, anti-disco fever culminated in the ‘Disco Demolition Night’, where on the 12th July ’79 crowds of people brought disco records to a football game at Comisky Park, Chicago, to be blown up in an act of public spectacle. The event itself and preceding backlash was primarily organised by Steve Dahl and his associates, who were radio executives at the time attempting to capitalise on a potential cultural shift, but the motives of this are debated. Some argue it was in order to get more radio air time back from disco artists so that Dahl could further promote his beloved rock music, while others claim that it was racially and/or homophobically driven. Although there is little evidence to support either side, it’s easy to see how such a drastic act could be perceived as a threat based out of something more than simple air time, especially since it was aimed at an already fearful section of society. Dahl’s efforts did little to influence the already declining trajectory of the genre, with the early 80s seeing the tapering off and eventual collapse of the initial hype. Still, some original disco clubs survived, and DJs embarked on a new venture: post-disco. 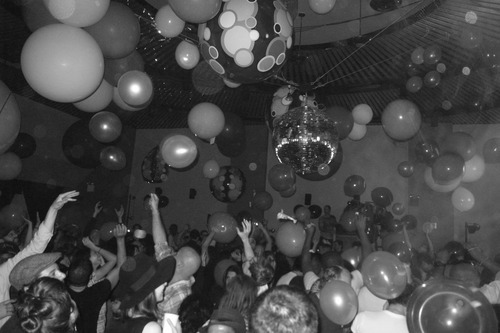 Post-disco was an umbrella term for a variety of new and experimental musical styles, and it’s often cited as the genetic pool for the majority of modern electronic subsections of music. One of the most significant figures of this sporadic movement was Larry Levan, a Paradise Garage resident who began to mix together a combination of RnB, soul, disco and gunk at a typically slower BPM than post-disco’s emerging counterpart in Chicago house.. This style took its name from the club where Levan had his legendary residency, being dubbed ‘garage‘ by its patrons. Due to its component genres, garage took on the minority groups that the mainstream disco scene left behind in the promise of commercial success and quickly built a cult following through clubs such as the afore mentioned Paradise Garage and Zanzibar. Garage continued through club culture to the 90s, where it tailed off in the US scene, but decoupled and found itself reignited as a derivative genre in the UK. The UK version has some key differences, namely a far higher BPM coming from a different blend of core influences such as jungle, reggae and ragga, as well as the original US ingredients of garage-house and disco. The key part to this long and sporadic evolution is how each cycle of collapse and reinvention was paved by each predecessor; every iteration on the way to garage and its contemporary sub-genres is in some tangible and spiritual way fused with disco. With electronic music becoming further and further removed from these roots, it feels important to pay respect to the original communities, especially as the conventional view of electronic musicians begins to exclude the diverse and politically influential people who founded the movement. For many people growing up in the original heyday of disco and garage, the figures and communities formed around them were empowering and their legacy should not be eroded when it still undoubtedly has the power to inspire.